Mario Petrucci’s biography is complex, to say the least. He was originally a Natural Sciences graduate at Cambridge University and moved into freelance writing after a stint at teaching, a PhD in optoelectronics at UCL, organic farming/goat-herding in Ireland, and a further BA in Environmental Studies at Middlesex University. Formerly Royal Literary Fund Fellow at Oxford Brookes University, and now RLF Fellow at Westminster University, his poetry performances attract international recognition (for example, with the British Council). Petrucci has received many awards for his poetry: he is four times winner of the London Writers Competition and recipient of the 2002 Arvon/ Daily Telegraph International Poetry Prize. He now works as an educator and creative writing tutor for all ages, teaching widely in adult contexts and in schools, lecturing students at the Imperial War Museum, and much in demand as a visiting writer specialising in war poetry and the curriculum. He has also brought into being a host of resources linking the humanities and the sciences, not least his creative writing pack Creative Writing <-> Science. The collaborative performance poetry group he co-founded, ShadoWork, ran voice training seminars and acclaimed performances across the country. Diorama is developing that impetus into innovative multi-vocal and multimedia contexts for poetry. Petrucci has published numerous poetry books and pamphlets. Shrapnel and Sheets (1996) won a Poetry Book Society Recommendation, and deals with war themes, family relationships, bereavement and scientific issues. This was followed by Bosco(1999) - an early and seminal example of Ecopoetry - and Lepidoptera (1999), a hybrid book of long poetry and short prose. His illustrated collection The Stamina of Sheep (the unique result of an innovative public and educational arts project for Havering, the Thames and Essex) captured the Essex Book Award for Best Fiction Publication (2000-2002). Fearnought (poems for Southwell Workhouse) came later (The National Trust, 2006), along with translations of Catullus and Sappho (Perdika Press). In 2002, Petrucci won the Daily Telegraph Arvon International Poetry Competition with excerpts from a book-length poem on Chernobyl. This led to the publication of Heavy Water: a poem for Chernobyl (Enitharmon, 2004), launched on the 18th anniversary of the disaster, along with its sister volume, Half Life: Poems for Chernobyl (Heaventree, 2004). Flowers of Sulphur is strongly oriented towards science, ecology and war (Enitharmon, 2007). Inspired by Black Mountain and American modernism, i tulips (Enitharmon, 2010) projects a fiercely American lyricism through peculiarly tender British modes, generating a groundbreaking, fractal beauty that lifts into focus. In 2003, Petrucci became the Poetry Book Society's first pamphlet selector (joined by Sian Hughes) and was responsible for the early detection of such authors as Daljit Nagra and Frances Leviston. He has undertaken various residencies, including the first residency for a poet at the Imperial War Museum in 1999, as part of the Poetry Society's 'Poetry Places' scheme. Here, he devised the poetry hunt, 'Search and Create'. He was commissioned as BBC Radio 3's first poet-in-residence and regularly broadcasts on the BBC World Service and on BBC Radio 3 and 4. He also contributed the libretto for Stephen Warbeck's 'Classic Challenge' on BBC 2. 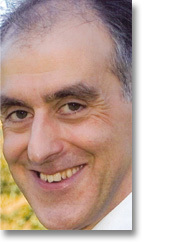 A former chair of the Royal Literary Fund's Advisory Fellowship, Petrucci lives and works in Enfield.